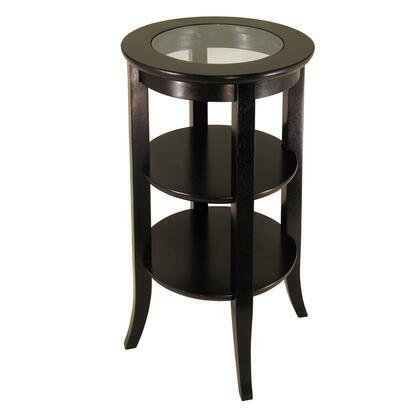 The Genoa Side Table is elegantly designed with a glass top inset in the round wood table top. 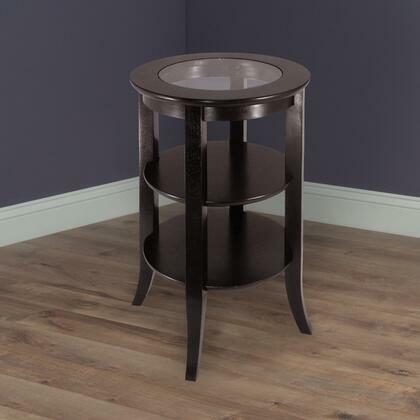 The flared legs give it a graceful feel while the two shelves finish it off and blends the table well with any style of room decor. 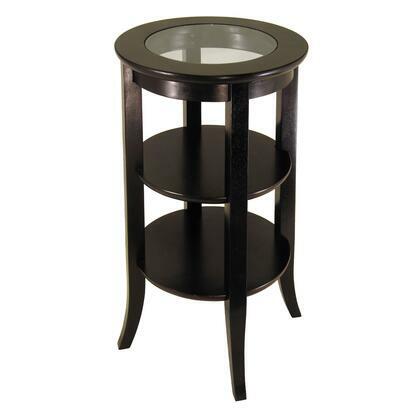 Match this with the rest of the Genoa Collection End Table #92218 and Round Coffee Table #92230 to complete the set. The table has an overall dimension of 18.5"W x 18.5"D x 30.1"H and each shelf is 13.3" in diameter. 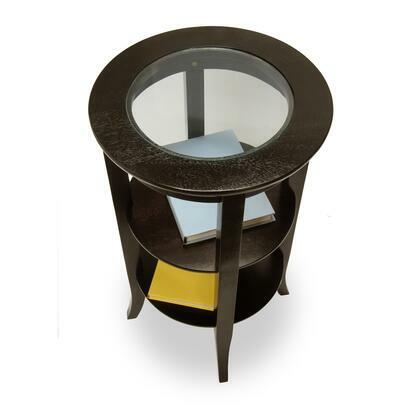 This is made of solid and composite wood in an espresso finish. Assembly required. 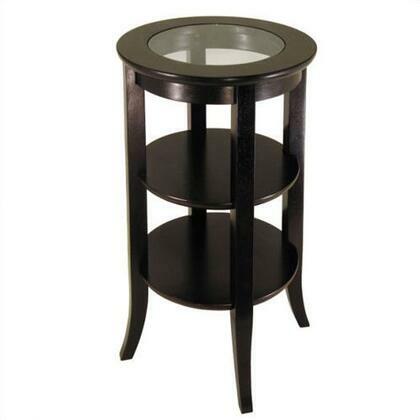 Overall Side Round Accent Table size is 18.5" diameter and 30.1"H.
Top tempered glass inlay is 12.1" in diameter. 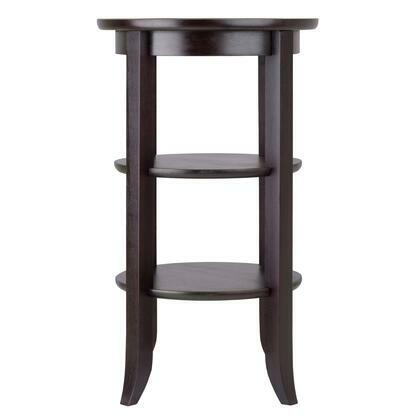 Two shelves with diameter of 13.3" to 14.9".